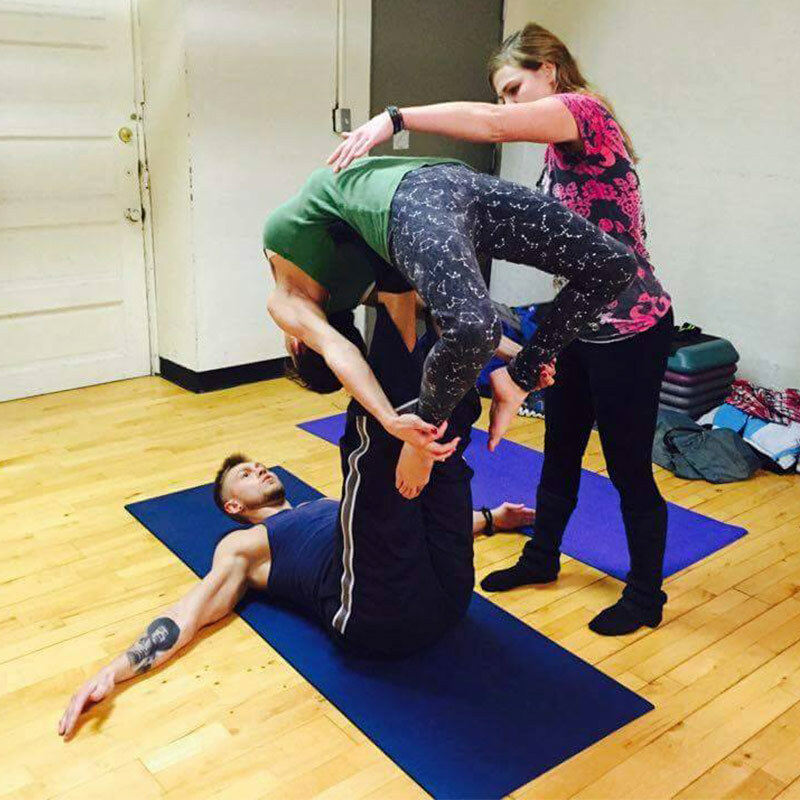 Acro Yoga is a blend of yoga, acrobatics and therapeutics to create a conscious flowing practice between partners. You are not required to bring a partner; we pair up in class and work together as a group. It is great for building strength and flexibility as in a yoga class, but also helps build communication, trust, and concentration within you and your partner. Thai massage is also incorporated into the practice. Thai massage is a form of assisted yoga where pressure is applied along energy lines of the body with acupressure and stretching techniques.